Yee was accused of soliciting and accepting bribes from an alleged Chinatown gang leader in exchange for providing help from Sacramento. 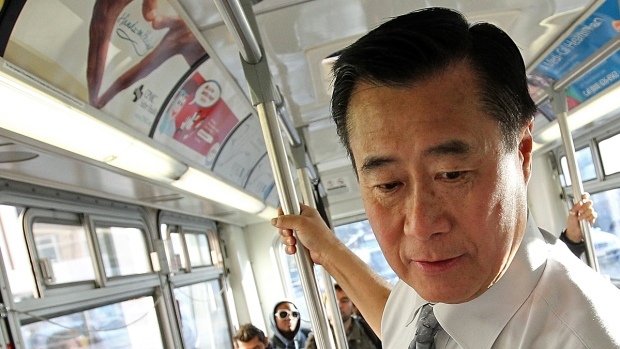 Leland Yee, a former California state senator, pleaded guilty on Wednesday to a felony racketeering charge in an organized crime and public corruption case that brought down the once-popular legislator known for good government and gun control, ending his political career. Yee, who previously has pleaded not guilty to bribery, money laundering and other felony charges, was scheduled to go on trial in late July in the sweeping case that was centered in San Francisco's Chinatown. But he changed his plea Wednesday in San Francisco federal court and will likely serve some time in prison, legal analysts say. He could face a maximum of 20 years in prison and a $250,000 fine, according to federal sentencing guidelines and the plea agreement obtained by NBC Bay Area. He admitted to a long list of crimes, including wire fraud and quid pro quo favors in return for campaign contributions, from 2011 to March 2014, in a spree called the "campaign," the plea deal shows. In many of the cases, Yee was interacting with undercover FBI agents. U.S. District Judge Charles Breyer is scheduled to sentence Yee on Oct. 21. Before the hearing, reporters tweeted that he was smiling and chatting with them as he was forced to sit in the media section as there wasn't enough room. Afterward, neither he nor his attorney had any comment. 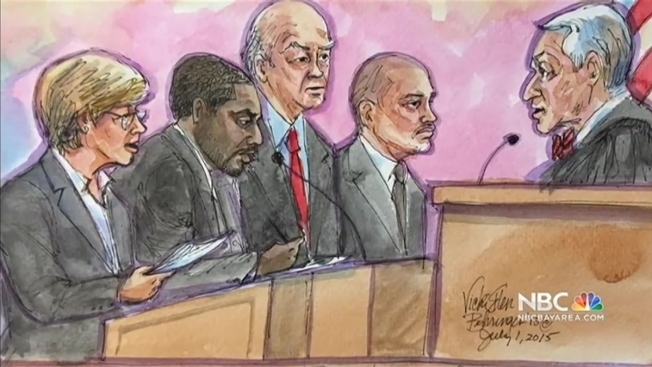 Right after Yee, Keith Jackson, a former San Francisco school board member who acted as Yee's consultant and fundraiser, pleaded guilty to the same charge. Jackson's son, Brandon Jackson, and former sports agent Marlon Sullivan, also pleaded guilty to racketeering charges on Wednesday, under separate plea deals. The FBI arrested Yee and 19 others last year during a series of raids throughout the San Francisco Bay Area. NBC Bay Area first broke the news of his arrest in March 2014. Yee was accused of soliciting and accepting bribes from an alleged Chinatown gang leader in exchange for providing help from Sacramento. The FBI also alleged that the San Francisco Democrat, who was running for secretary of state at the time, conspired to connect an undercover agent with an international arms dealer in exchange for campaign contributions. The arrests were the culmination of the FBI's eight-year investigation of Raymond "Shrimp Boy'' Chow, the elected "dragonhead'' of a Chinese-American association called Ghee Kung Tong. The FBI alleges the association was a racketeering enterprise and that undercover agents laundered $2.6 million in cash from illegal bookmaking through the organization. Sudhin Thanawala from the Associated Press and NBC Bay Area's Mark Matthews and Stephanie Chuang contributed to this report.